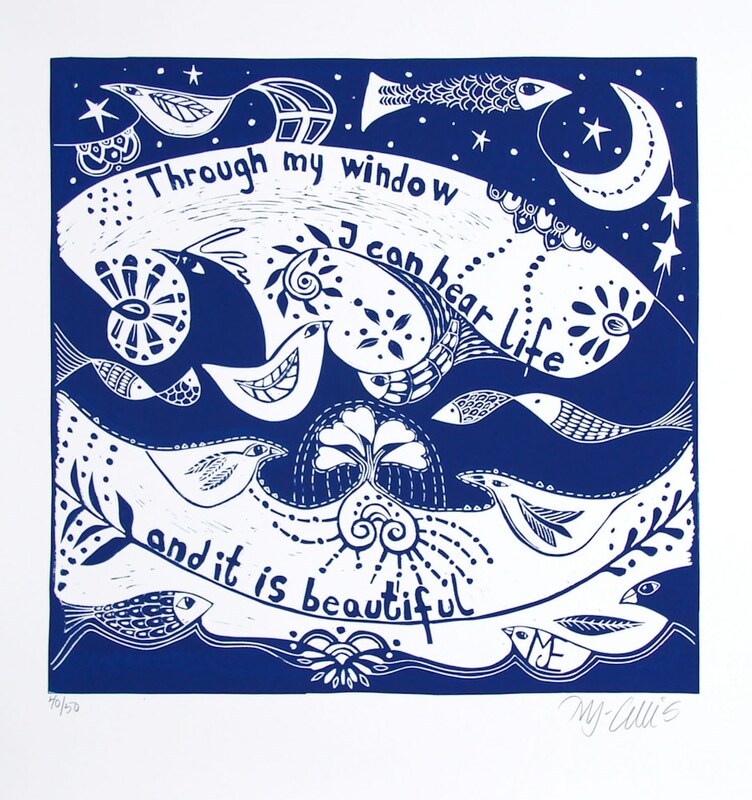 an inspirational linocut printed in a short edition of 100 prints. You can custom order color. 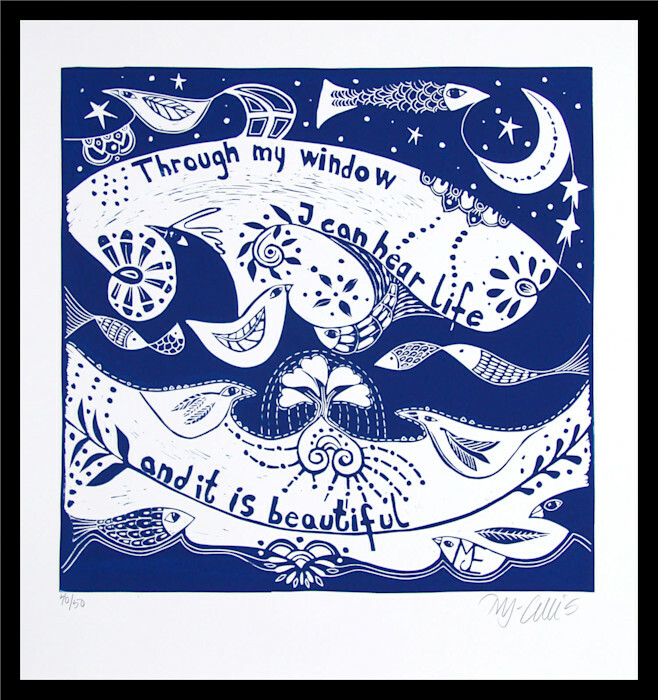 Through my window, I can hear Life, and it is Beautiful, is straight from the heart, about how lucky and blessed one can feel to live the life one lives. 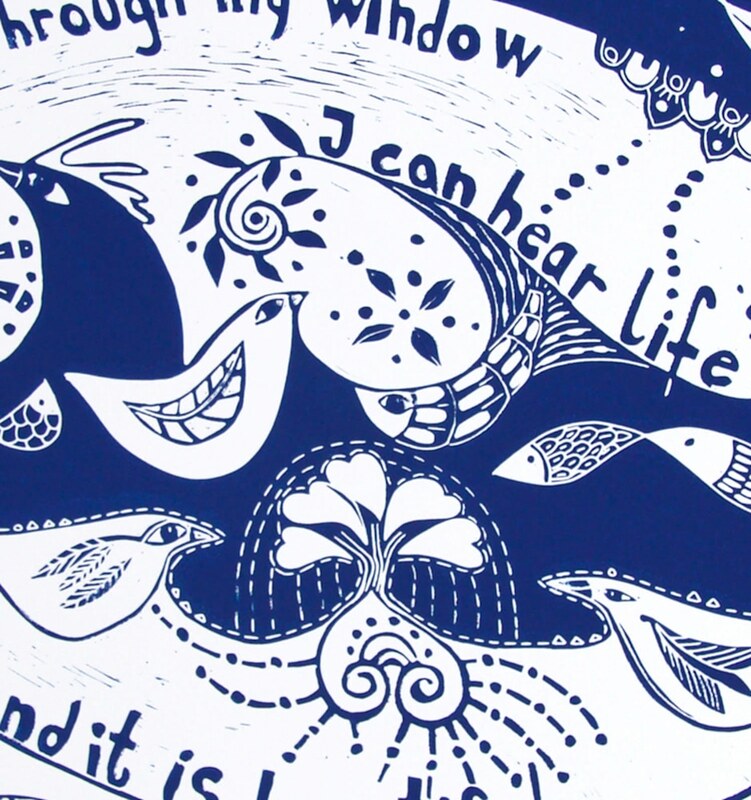 This large blue and white linocut, is printed on a warm white velvety piece of Canson printmaking paper. 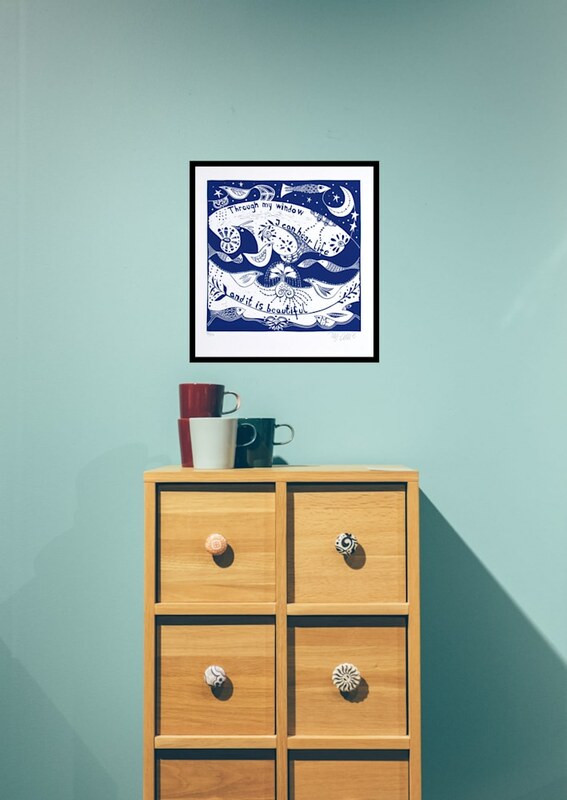 Please note you can ask me to print in a color of your choice! 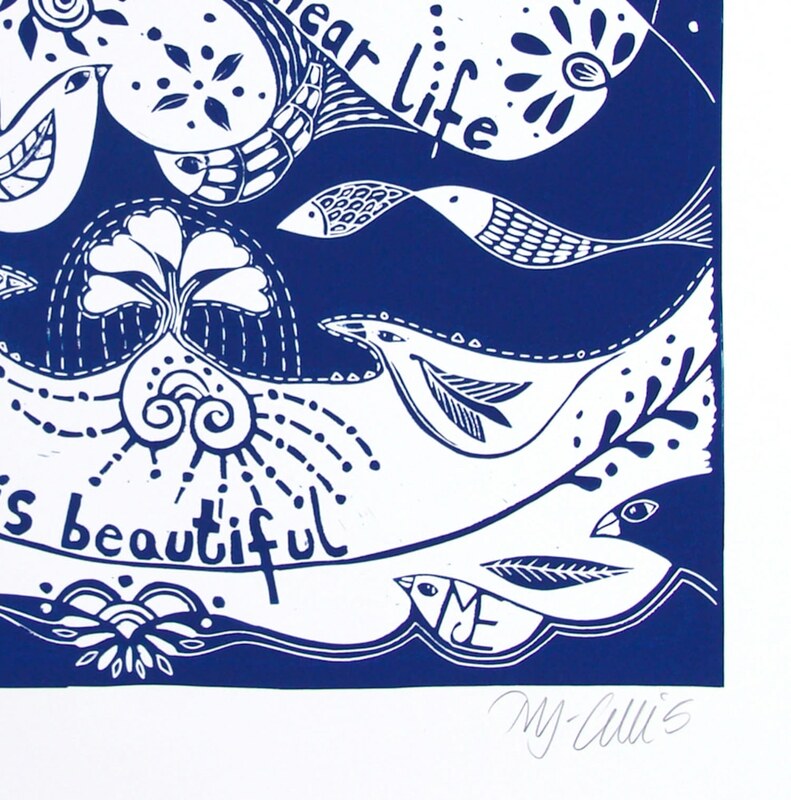 SHIPPING: I'll mail "Life is Beautiful" to you protected by tissuepaper and cellophane, it comes with a flier explaining what a linocut is.